A few weeks ago, Tom and I (along with our trusty breakfast buddies), headed to Rabbit in the Moon, a little place in North Fremantle, for a delicious Sunday brunch. It was our first time at this cafe and I have to say I was pretty impressed from the moment I walked in - all the decor is just so bright and fun! Aside from the lovely interiors, I was also pretty pleased with the breakfast selection (which is really the important part) - as it had a few slightly different options, along with the usual eggs/bacon/avocado (you know, the standard breakfast situation). I have to admit, I chose my meal - the Coconut Mango Chia Pudding - based on the gorgeous pics I'd seen on Instagram, and luckily I wasn't disappointed, either by the taste or the presentation - just look how pretty that thing is - almost too beautiful to eat! 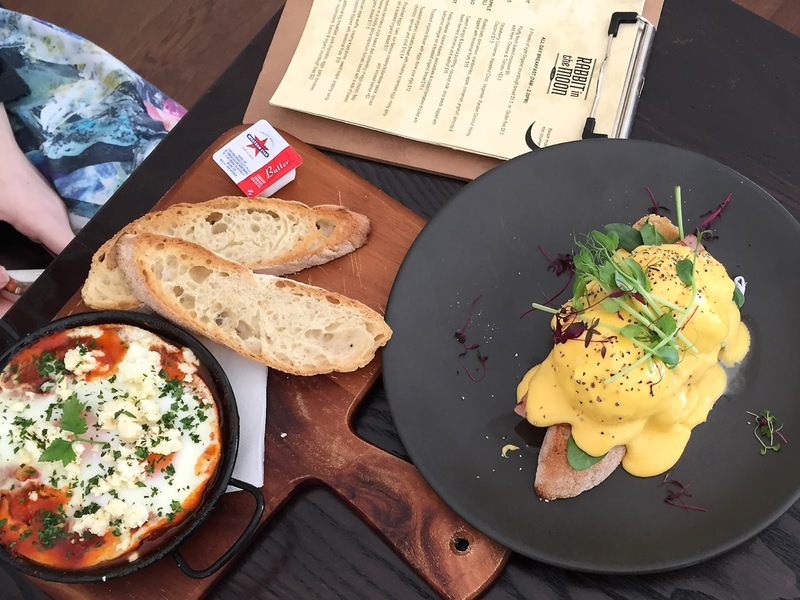 Our friends chose the more typical breakfast of Eggs Benedict and the Baked Eggs, and both received the thumbs up. 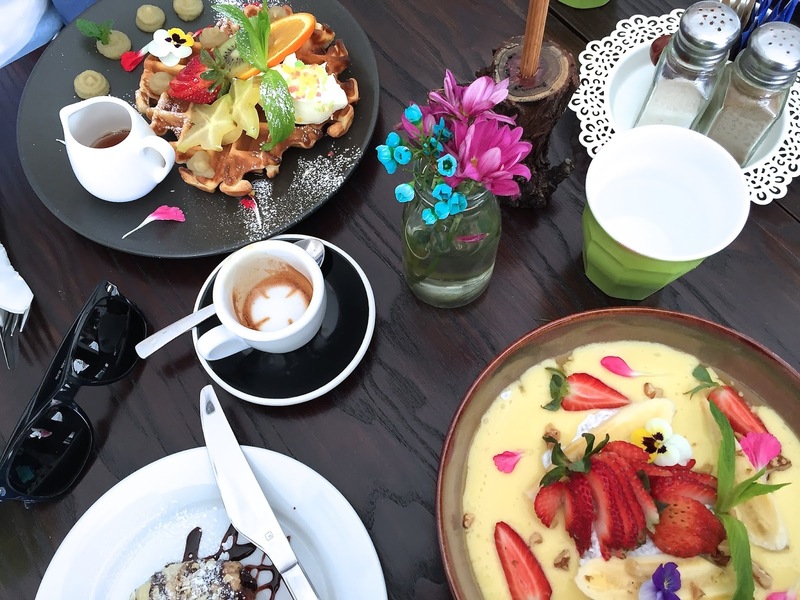 We haven't been back yet, but it's definitely somewhere we'll return to and I recommend checking it out if you're looking for a new breakfast spot in Perth! The place looks really cute. And I love edible flowers so much.